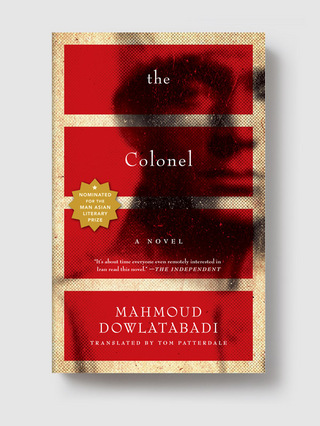 A basic grasp of 20th Century Iranian history is advisable if you plan to read Mahmoud Dowlatabadi’s The Colonel, published in English last month by Melville House Books. Readers might be able to get by on the information provided by the publisher in footnotes and a glossary, but a little time spent on Wikipedia can’t hurt. (I also recommend Lisa Hill’s excellent review on ANZ LitLovers LitBlog). The Colonel is both a political novel and a family drama – knowledge of the former is essential in understanding the latter. To complicate matters further: it also functions as a Persian fable. Two colonels are referenced in the title. The first, “the colonel” (always in lowercase letters), is the novel’s protagonist and one of its two narrators. He served in the military under the Shah. After Shah Mohammad Reza Pahlavi was ousted the colonel was arrested and sent to prison. (I’m fuzzy as to whether this was because of his politics or because he killed his wife in a drunken rage). He has five children. The eldest son, Amir, witnessed his mother’s murder. Amir is the novel’s second narrator. His life, in many ways, mirrors that of his father’s. Both men have troubled pasts. Both men supported different, fallen regimes (Amir supported Prime Minister Mohammad Mosaddegh who deposed, and was later deposed by, the Shah); both were imprisoned and tortured; both men played a part in their wives’ deaths. Their combined actions and choices – particularly their political choices – have led to the destruction of their family, contributing to the deaths of Amir’s two brothers and youngest sister. A second sister is married to a brutal opportunist who holds both his wife and her family in contempt. At the point where the story begins Amir and his married sister are the only children of the colonel still alive. We meet the other three in flashbacks. We learn the details of their deaths and, as the story unfolds, understand that they were sacrificed. The catalyst which sets the story into motion is a knock on the door in the middle of the night. The colonel is summoned to collect the body of his fourteen year old daughter, Parvaneh, from the police station. She died in custody and he must bury her before dawn in an unmarked grave. Two soldiers accompany him to assist with the burial, which turns into something of a farce… almost a comedy of errors (except it’s not funny). There is no women to bathe the body, they have no shovels to dig the grave, the rain never stops, the ghost of the colonel’s dead wife makes a tragic appearance… as does the ghost of the second Colonel. The second colonel of the title – The Colonel (always capitalized) is a historical figure. The details of his life would be familiar to most Iranian school children. Footnotes and the book’s glossary provide some detail. To my mind, his importance is more as a symbol and less as a man. The colonel keeps his picture in a place of prominence in his home. As he loses each of his children he places their photographs in the frame at The Colonel’s feet. Dowlatabadi moves back and forth between the colonel and Amir to tell the story. The Colonel is non-linear, filled with flashbacks, memories and hallucinations – making the timeline of events sometimes difficult to follow. 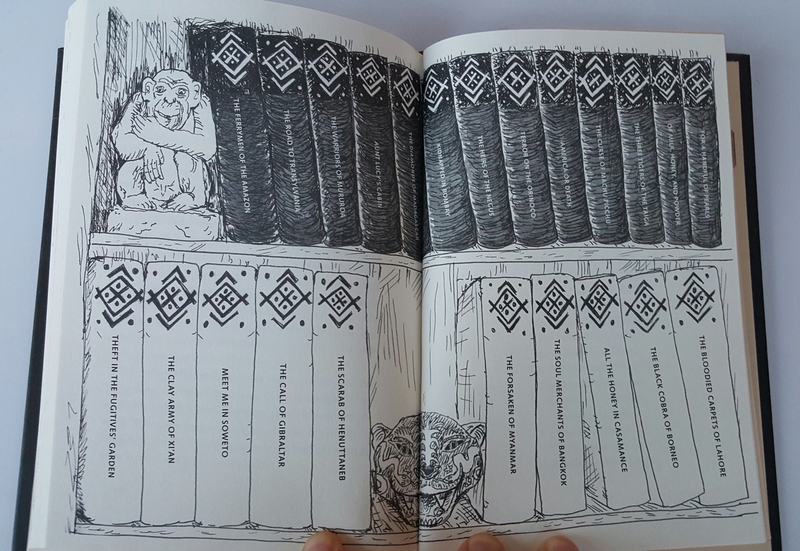 I initially believed this was done on purpose to reflect the states of minds of the two narrators. To demonstrate how their individual psyches and family are deteriorating apace with the nation. But if Dowlatabadi meant for this novel to be taken as a fable then it’s possible that what I identified as hallucinations were meant to be visions or, even, actual occurrences. This is just one instance among many where I fell short as a reader. (Another being my failed attempts to grasp the amazingly complex political and cultural traditions depicted in the book). I’ve read only one other Iranian author. The difference between Shahriar Mandapour and Mahmoud Dowlatabadi is palpable. Both write about the political and social climate of Iran – but Censoring An Iranian Love Story is more indulgent in its tone. Mandapour creates a metafiction narrative that acknowledges the reality of his main characters’ situations, but forces upon them unrealistically happy endings (while acknowledging the implausibility of these endings). Whereas Dowlatabadi is the complete opposite. The Colonel has not been published in Iran due to censorship. This poses a problem. He is the quintessential Iranian author, as Mark Twain is the quintessential American author and Dickens the British, even in his open criticism of the current government under Mahmoud Ahmadinejad. And so his novel is dependent on and assumes readers with a certain level of knowledge about his subject matter. Yet, I can’t help but wonder, outside of Iran and it’s neighbors, how many people have that knowledge? Dowlatabadi’s writing is more dramatic…grittier… then Mandapour. His story takes place in damp basements, muddy streets, dark mortuaries and smokey, confined spaces. He paints a dark and bitter picture of Iran and its politics – of a nation that sacrifices its young people. While I don’t doubt the truth in what he says, is it an objective or a subjective truth? Amir speaks of the events leading up to his sister’s, Parvaneh’s, death. That was when people started talking: it was the duty of any respectable family to repudiate a girl like that and send her packing. She was now mahdour ud-dam*, fair Islamic game. It would be an honour killing. A few pages later the colonel, that girl’s father, recalls speaking to a crowd at his matryed son’s funeral (the morning after burying Parvaneh in an un-marked grave). Passages like these are incredibly disturbing to read. Particularly for a reader without the experience to recognize concrete fact from what is being shaped by the author’s opinions and artistry. Much like his character Amir, Dolwatabadi’s writing portrays him as disenchanted with and disenfranchised from his homeland. Reading these pages it’s difficult to find any redemption or hope for Iran. I don’t dispute the book’s brilliance, even I recognize the genius behind it. But for those readers (and I count myself among them) coming to these pages ignorant of the background material, The Colonel is an intense experience. Note: The Colonel was nominated for the Man Asian Literary Prize and the author Mahmoud Dowlatabadi is being whispered as a possible future Nobel Prize winner. The Guardian Books Podcast likes to torment me with books I can’t have. 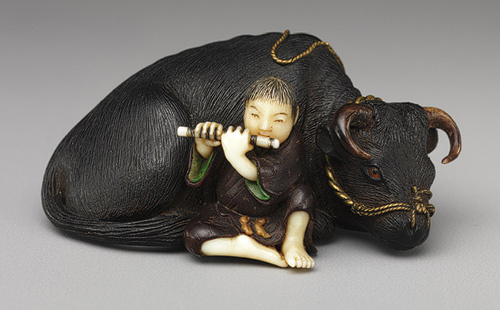 The June 24th episode has a fantastic interview with Edmund de Waal, a British potter whose memoir follows the journey of a family heirloom – a Japanese Netsuke collection – through history. In the process, he tells the stories of the members of the family who were in possession of the collection. All were fascinating people in their own right. The Guardian website has a review here. The good news is: no need to send your money to Amazon UK (conversion rate is currently at $1.50 to 1 British Pound), The Hare with Amber Eyes is being released by Farrar, Straus and Giroux in the U.S. The bad news? It doesn’t come out until the Fall. O well, I hear patience is a virtue.